The Complete Ticketing System software launched in Branson, Missouri fourteen years ago. 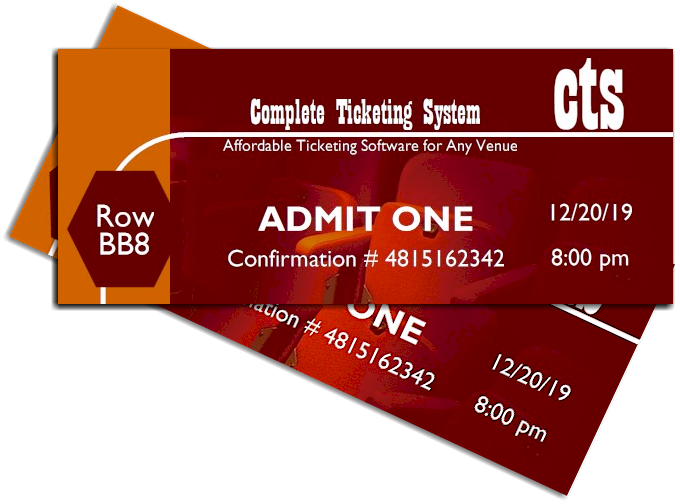 Since then, we have been serving many theatres around the country, by providing software to meet their ticketing needs and friendly reliable customer service. Our software offers the features needed by theaters, at a price they can afford. The Complete Ticketing System was created by Mark LeTourneau. See what the Complete Ticketing System will allow you to do. © 2018 The Complete Ticketing System. All Rights Reserved. Rights Reserved.